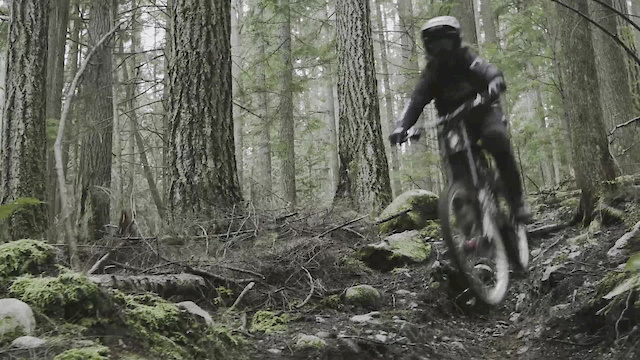 Motivated by the descent, we design our MTB gear for those who appreciate the pull of gravity. 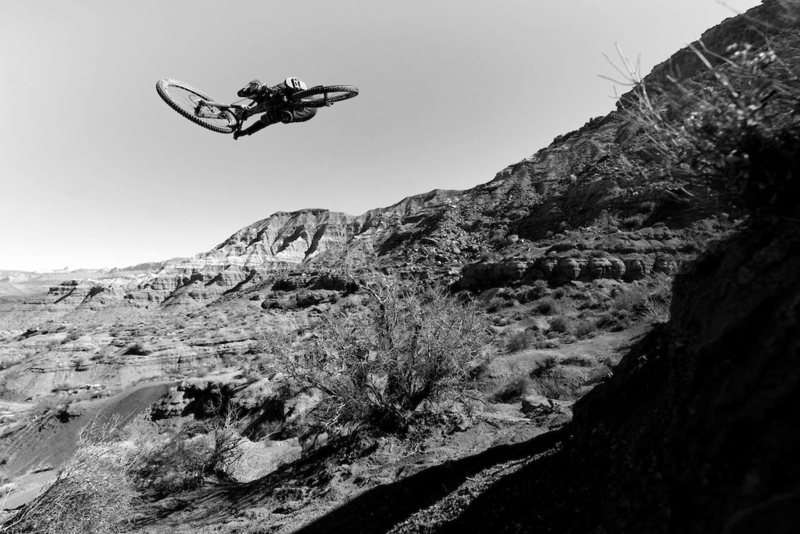 Few personify this passion more than Graham “Aggy” Agassiz, who has built a solid reputation as one of the world’s premier mountain bikers, with his signature fast and loose style that captivates fans around the globe. 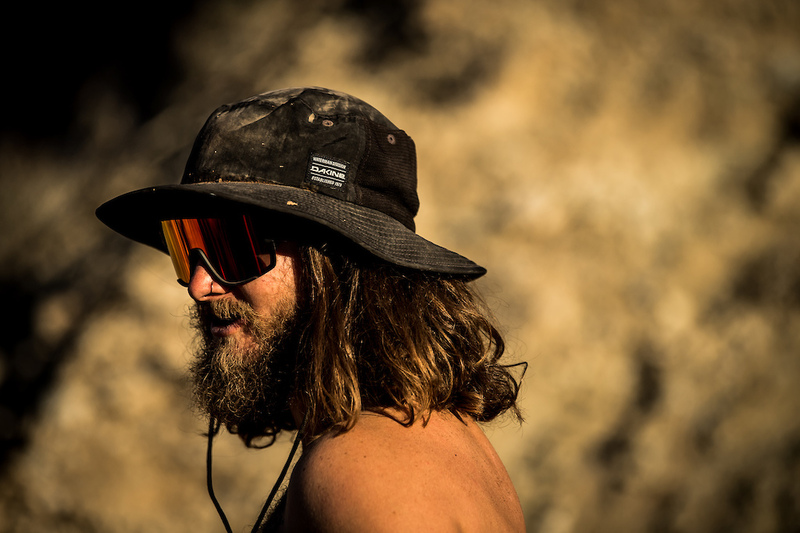 With his all or nothing approach, Aggy needs trusted, durable gear to support his passion for riding and to continue his successful career. 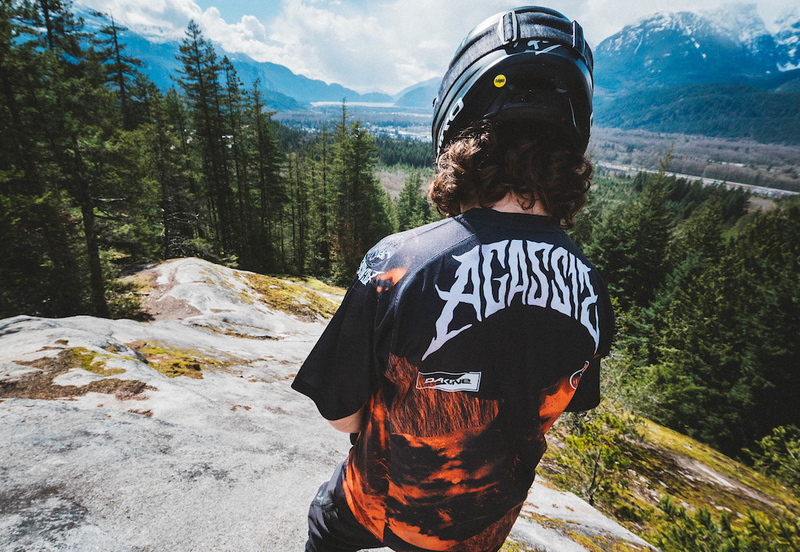 In co-creation with Dakine, the Team Aggy series of downhill gear launches today for Spring/Summer 2019. Emblazoned with symbolic imagery that holds heart for Aggy, the updated Thrillium Jersey (MSRP $60-65), - available in long and short sleeve versions - has a softer hand feel, looser fit, and a heavier, more durable stretch mesh construction of bluesign®-approved materials. Working with our design team to create his ultimate dream kit, Aggy requested incorporating wolf fur into the design, which raised more than a few eyebrows. “For the last decade or more the wolf has been my sort of spirit animal if you will; the mythology and symbolism behind the creature reflects a lot of different characteristics that I’ve embodied into my day to day life,” said Aggy. The concept-to-creation was a winner for Aggy and the design team, further embellished with a custom logo featuring a bearded skull with a wolf head howling at the moon that is used on all the Team Aggy pieces. The back shoulder of each jersey also features a bony “Shaka” hand, paying homage to Dakine’s roots, and Aggy’s signature phrase, “Whatever Dude”. 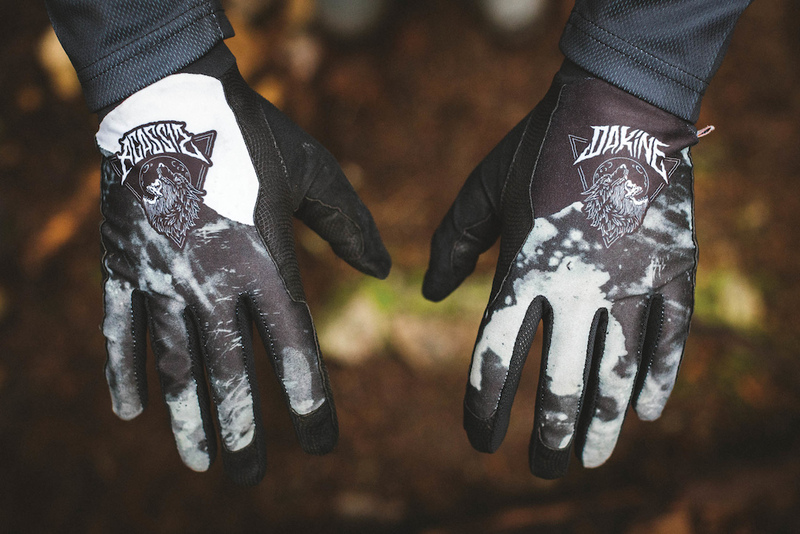 “It’s been a really cool experience working on this collaboration with Dakine, I’m still blown away by the opportunity and I’m really stoked on how it all turned out!” commented Aggy. The Thrillium jerseys also incorporate Polygiene® odor control technology for extended wear without the stench. The 4-way stretch construction provides ease of movement on the bike, while the cut crew neck, drop rear hem and raglan sleeves offer functional style and comfort. Also included is a hidden interior sunglass wipe. 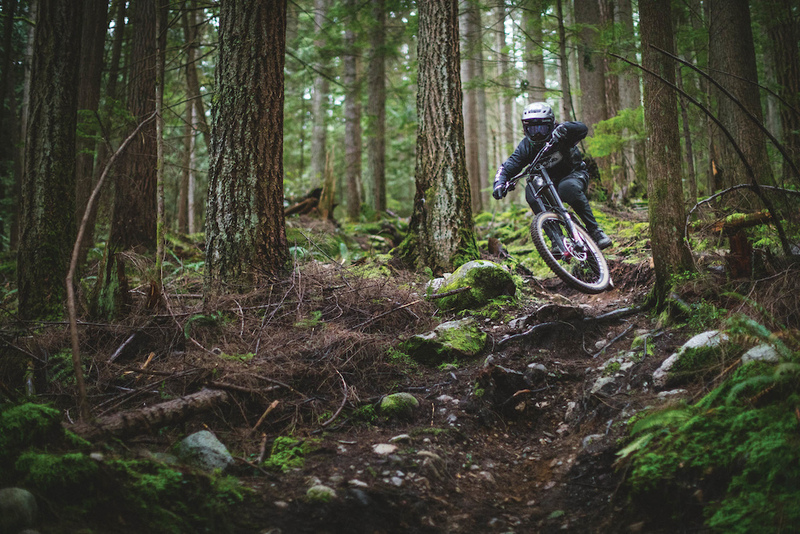 Rounding out Aggy’s kit is the all new Thrillium Pant (MSRP $160) or Thrillium Short (MSRP $120) featuring Schoeller’s ecorepel® Bio, a bluesign®-approved 4-way stretch woven with PFC-free DWR, offers a super technical kit for downhill riding. Both offer a ventilated laser perforated waist and inner thigh for maximum airflow and articulated stretch panels for full range of movement. 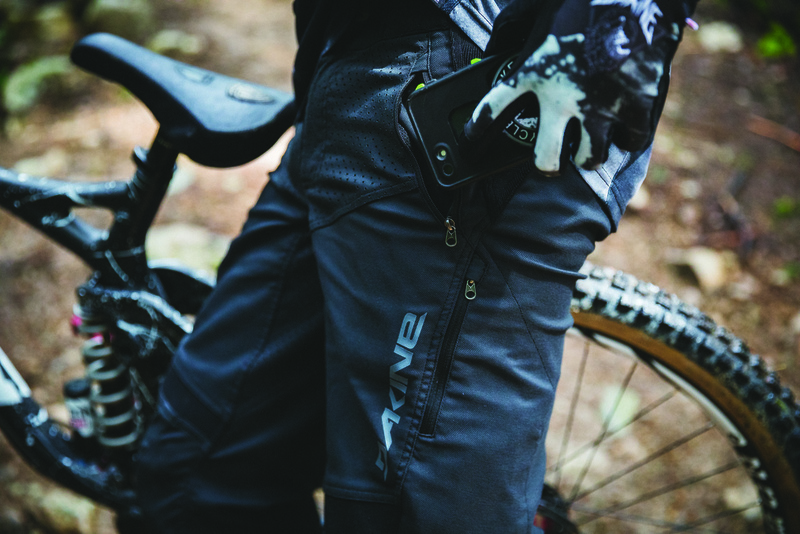 Zippered hand and thigh pockets allow space to stash essentials, while also reducing the risk of catching on the bike. The addition of the cam-lock buckle allows for easy adjustment even while wearing gloves, and the deep shank button fly maintains added security at the waist. The double stitch construction ensures long-lasting performance.